Steve Nunziata (CSM, PMP, ACP, SAFe SPC) has more than twenty-five years in IT project management, using waterfall and agile methodologies—and numerous hybrids in between. Steve’s industry experience ranges from health care, sporting goods, transportation, and insurance. For the past ten years, he has focused on agile practices and teams, fulfilling roles such as ScrumMaster, Product Owner, agile coach, project manager, and quality assurance advisor―sometimes in the same day! Steve is very active in the San Antonio agile community, facilitating monthly meet-ups and education events. In his spare time, he enjoys playing in his classic rock band and being with his wonderful family. It is widely understood that agile mitigates project execution risks. However, auditors and regulators unfamiliar with the agile process often reject it as non-compliant. In regulated industries, organizations seeking to adopt agile are often challenged to provide evidence that prescribed processes are being followed and can be evaluated to ensure adherence. This issue is compounded when auditors expect a more traditional, artifact-driven process, which, in an agile environment, does not necessarily mitigate the risks for which they were designed. To harness the power of agile and still satisfy internal compliance groups, we must address their concerns. 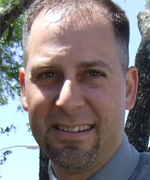 Steve Nunziata describes opportunities to educate auditors on the power of cadence and content of agile ceremonies, while avoiding falling into the “artifact trap” of waste by layering compliance artifacts over the top of agile processes. Learn how to leverage key agile tenets of visibility and transparency in meeting required audit needs―with greater quality and fidelity than ever before.